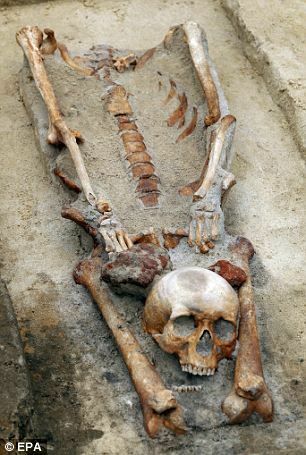 In a rare find graves have been found in Poland where the dead had been buried with their heads between their legs. Archaeologists believe that the practice was basically aimed at ensuring vampire would stay dead. The skeletons are believed to date from around the 16th or 17th centuries. It may be added that decapitating a suspected vampire was common practice in medieval times because it was thought to be the only way to ensure the dead stay dead.